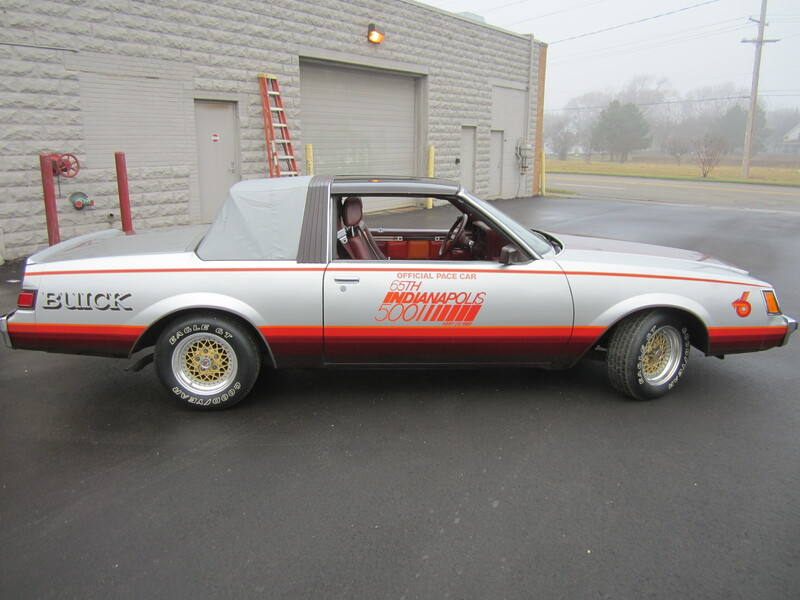 1981 saw a Buick Pace Car in the Indianapolis 500 for the fifth time. 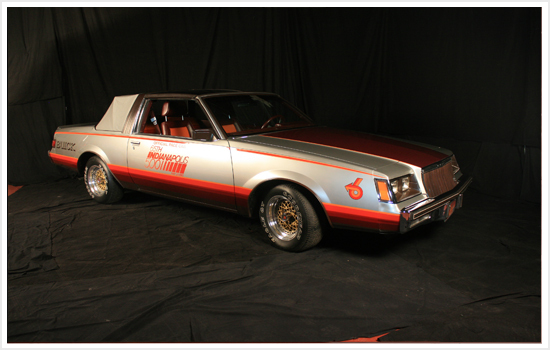 Driven by Duke Nalon, this 1981 Regal features what Buick called a "very special" 4.1 liter V-6 engine. The stock 4.1 was not offered on Regal, but was standard on Electra and Riviera and optional on LeSabre. 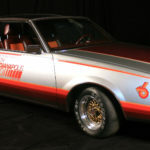 eveloped by Buick engineers in cooperation with Baker Engineering of Grand Rapids, the pace car version was naturally aspirated, unlike its turbocharged predecessor in the 1976 race. It produced 281 horsepower at 5100 rpm, compared to 125 horsepower at 4000 rpm for the stock 4.1 engine. Donated by Buick Motor Division, GMC.